Click here to read our original success story on Mia. Do you have a success story? Contact us and tell us all about it. We love to share the success, inspire others, and be inspired. 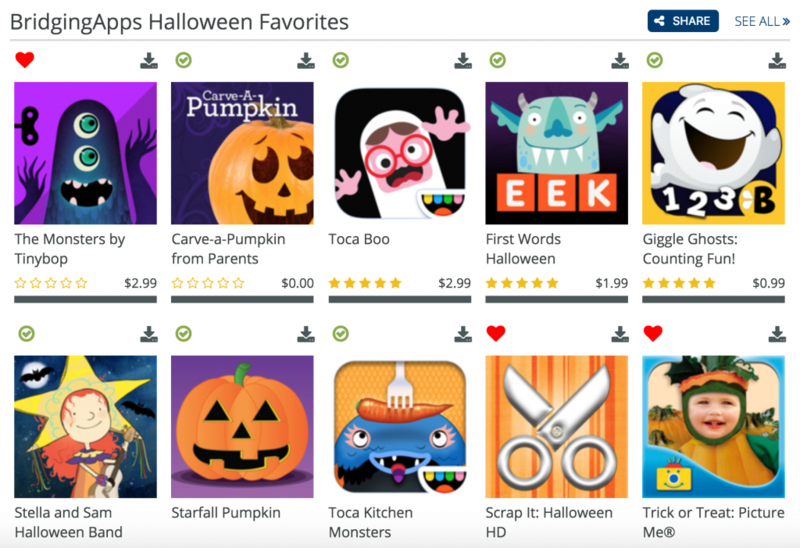 BridgingApps has compiled a list of our all-time favorite educational and fun Halloween apps to download for your little goblins. Click the image to view our full list of Halloween apps in our new app search tool with app reviews, embedded skills, curriculum standards, links to download the apps and more.